Joe joined our team in 2015 and was promoted to Lettings Manager in 2018. 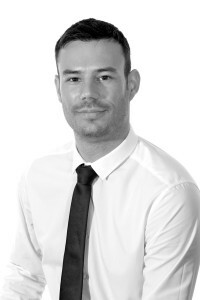 Joe oversees the day-to-day running of our busy residential lettings department and is the main point of contact for all of our tenants from referencing stage to move-in day. He is also responsible for all tenancy renewals, day-to-day issues that may arise and the various systems we have in place to aid the effective running of the department. Joe lives in Worthing with his wife and young daughter and enjoys many sports, films, TV boxsets and socialising with friends and family.